For the last couple weeks of December each year, the Once Upon a Christmastime parade normally performed at night during Mickey’s Very Merry Christmas Party becomes a daytime parade included with park admission. This year, “Frozen” characters Anna, Elsa, Olaf, and Kristoff are added to the parade along with Wreck-It Ralph and Vanellope von Schweetz. 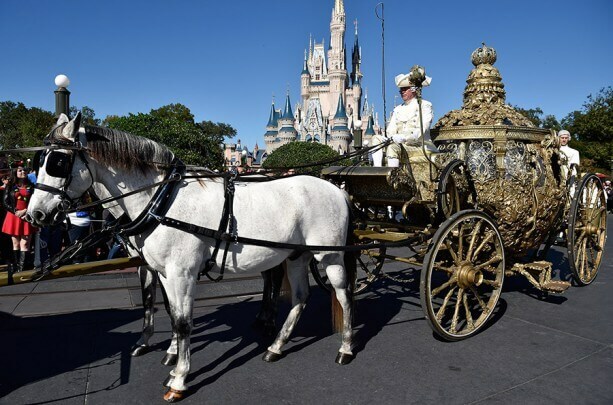 And from Disney’s upcoming live action “Cinderella” movie, a golden carriage makes its way through the park as a new pre-parade for the holiday season.